I’m white, perfect for cutting and grinding. For most animals, I am a useful tool. What am I? 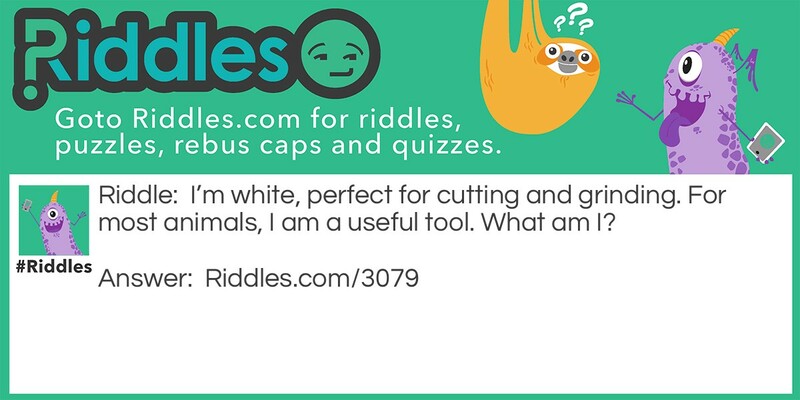 What am I (23) Riddle Meme with riddle and answer page link.